Does your child enjoy the outdoors and seek new experiences with nature? Do you want to encourage your child to be more active over their summer break? If so, sign them up for the Young Paddler’s Club!! In partnership with Three Rivers Federal Credit Union, Tri-State Watershed Alliance, and Riverfront Fort Wayne, the Northeast Indiana Water Trails Initiative is offering the Young Paddler’s Club for the first time ever during the summer of 2018. Our hope is that the Young Paddler’s Club will create lifelong nature lovers! 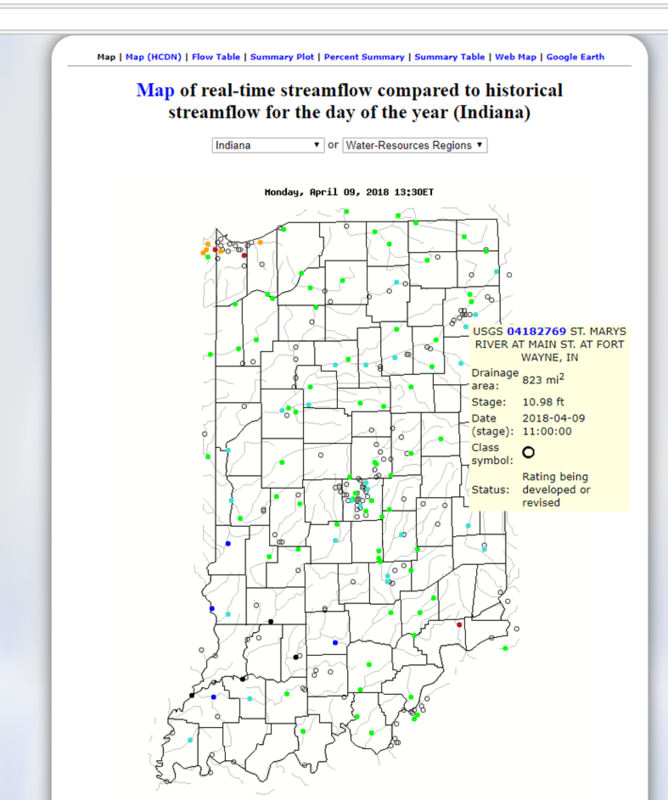 There are over 566 miles of accessible flowing water in Northeast Indiana just waiting to be explored. The Young Paddler’s Club is a way to encourage children ages 5 – 15 to learn about various recreational, educational, and service opportunities on, or along our rivers, and help them connect with nature this summer. Participant must be between 5 and 15 years of age. Download the Young Paddler’s Club Form here or pick one up from an area Outfitter or Livery. Complete the chosen activities between June 1st and August 31st . Provide the name of the activity/event you participated in and write at least three observations you made during the activity in the box provided on the Young Paddler’s Club form. Receive their Young Paddler’s Club 2018 badge. Learn from regional naturalists with displays and interactive learning activities regarding wildlife, honey bees, water resources, etc. Get on the water in the Tri-State Watershed Alliance’s pontoon boat to learn from the experts. Discuss with new friends the different adventures they had on the waterways. Share this exciting experience with their family (immediate family members of the Young Paddler will be invited to participate in the activities at the party). We look forward to helping you, and your kids explore our outside world this summer while checking out some of our amazing waterways in NE Indiana! See you on the water!!! Contact NEI Water Trails for more information. We have amazing partners in all regions of NE Indiana who are excited to offer a $5 discount to young paddlers on boat rentals. Just bring in your Young Paddlers form to Mongo River Run and Trading Post Canoe and Kayak located on the Pigeon River in Mongo, Indiana and Fort Wayne Outfitters and bike Depot and Earth Adventures Unlimited located in Fort Wayne and they will apply the $5 discount to each Young Paddler’s boat rental. Below is a list of activities that a Young Paddler may choose to participate in (beyond those listed on the Events Calendar). ​​​​​​​Learn all about the role our rivers have played in the history of our vity and how they are still used today. Campers will leave with a better understanding of our rivers, their challenges and benefits, as well as an enthusiasm for our waterways. Games, water activities, paddling and water safety are all part of the fun. Register here. Acres Land Trust owns property in all 10 counties of the NE Indiana Region. Click here to find a preserve along a waterway in your area. Visit the Land Trail page to find out where you can access the trails in NE Indiana. Visit the Water Trail Map to find out where you can paddle. Disclaimer: Northeast Indiana Water Trails, and its partners, are not responsible for any of the activities listed on the event page (with the exception of the Pedal, Paddle, and Play). Each Young Paddler and their families take full responsibility for their choice to participate in any of the listed activities and will not hold Northeast Indiana Water Trails, or its partners, responsible for any damages or injuries incurred while partaking in activities to fulfill the Young Paddler’s Club requirements.